Improve error messages when validating SQL connection with the Configuration Wizard tool. Add option to show the password on the SQL configuration dialog of the Configuration Wizard tool. Improved dialog and flow for assigning an SSL certificate for Chime using the Configuration Wizard. Show the correct configured URL to launch Chime on the Configuration Wizard if using a custom DNS name. Change labels to refer to Azure AD Application ID instead of Azure AD Client ID, to match labeling used now in the Azure portal. Include field in installer for setting the application ID for the UCWA Connector Azure AD application registration. 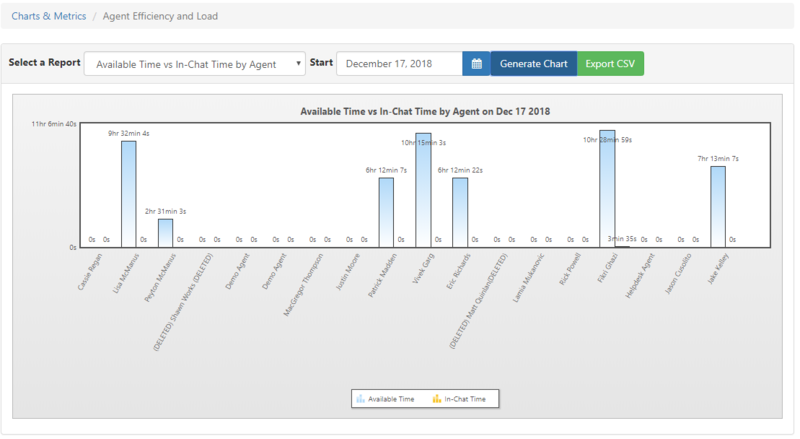 Fix issue with timezone conversions on the Agents Available Over Time chart. Add chart showing presence history for all agents in a queue. Add ability to load additional new charts as plugins from the /Reports directory. Considerably faster delivery of large alerts. Fix for issue in alerting where presence information for alert recipients would not be recorded until after starting to send the alert to the recipient. Add ability to change the account details for the web client Lync/Skype account using the Chime Web UI, rather than only via the Configuration Wizard tool. Fix for rare timeout error when opening agent Lync context window which could cause queue to restart. Fixes for Broadcast Routing algorithm when one available agent could not be contacted. Fix for issue where error in pre-chat Virtual Agent could leave chat Waiting, and prevent routing to an agent. Fix for issue where agent types 'y' to accept chat, but cannot be connected to the chat. Improved error message when starting a queue with an invalid dispatcher password. Agent Dashboard link should always be visible for agents in the top navigation bar for agents on the Chime web interface. Fix issue where sometimes Lync Context Window will show the main Chime landing page instead of the correct context page for the current chat, with no way to reach the chat context page. Fix where updated passwords for alias dispatchers would not be applied when trying to restart aliases from the queue dashboard Aliases tab. Fix for error that could occur and prevent starting a queue if it had no alias dispatchers assigned. 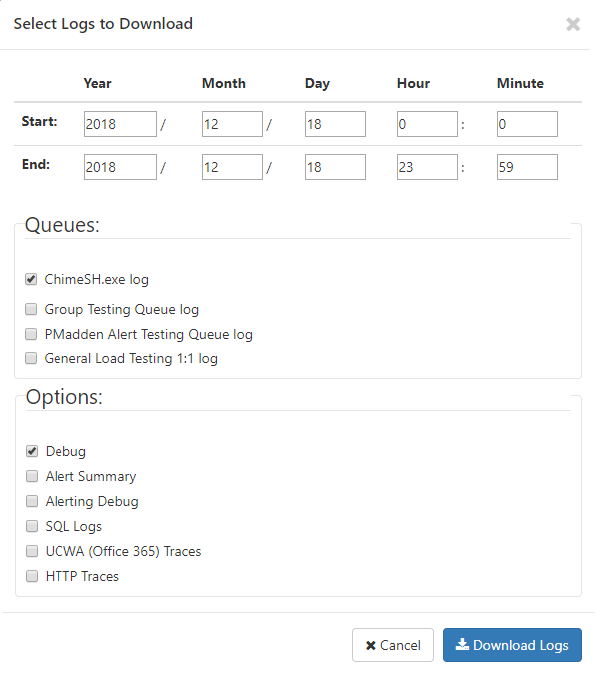 Fix issue with timezone conversions that could result in incorrect date ranges when using the Advanced feature on the Logs page to download logs for a queue. Fix API that returns available queue dispatcher URIs to include alias dispatchers in addition to primary queue dispatchers. 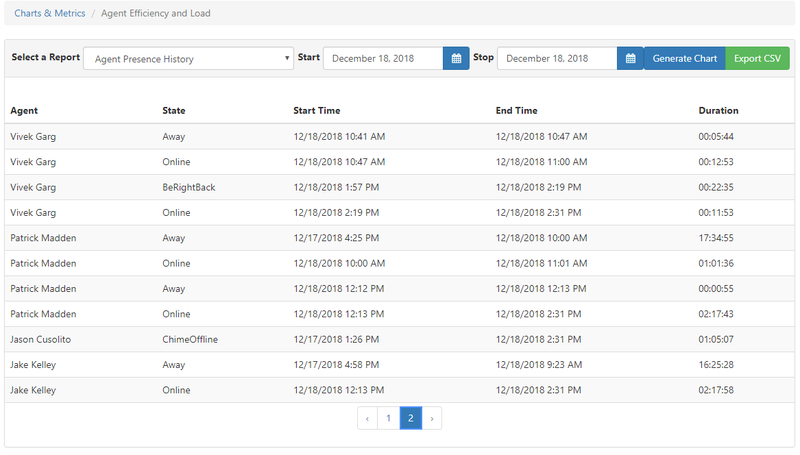 Add option to show log entries on the Logs page in either oldest-first or most-recent-first. Updated: Agents can no longer end a conversation with a guest by removing them from the participants list in the Skype for Business client. Fix for issue where sometimes seeker information would not be passed from the web client to the queue for Office 365 queues. Fix issues with submitting guest ratings and comments using the web client. Fix issues with file uploads from the web client. Add ability to customize the message displayed in the web client when a queue is not available, by using the Queue Offline text resource.